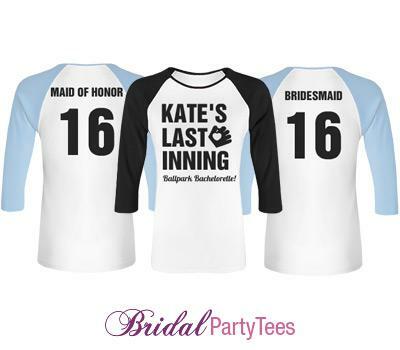 Are you having a ballpark bachelorette party? 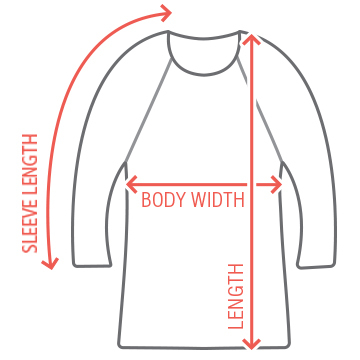 Customize designs for the bridesmaids and everyone at the bachelorette party. 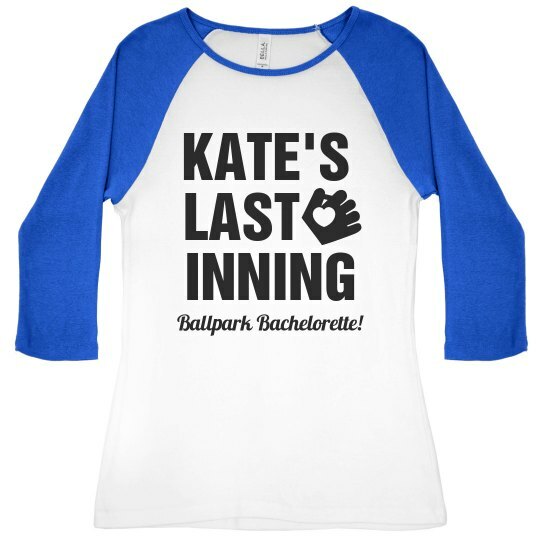 Custom Text Front: KATE'S | INNING | LAST | Ballpark Bachelorette!